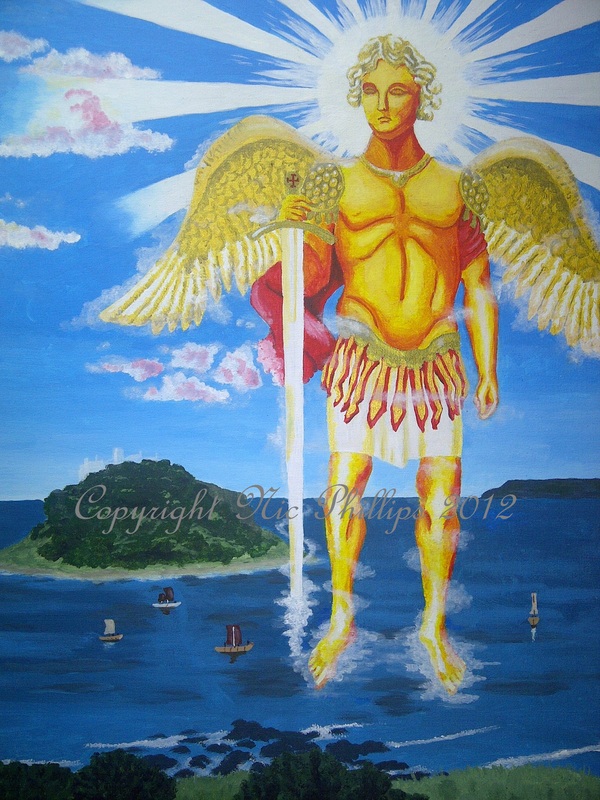 Depicted here is St Michael the Archangel’s apparition to Cornish fishermen circa 495 AD at what it is today known as Mount’s Bay. This apparition is said to have inspired the dedication of the first church on the island, and indeed given it it’s modern name of St Michael’s Mount. Alongside St Piran and St Petroc, St Michael is considered to be one of the patron saints of Cornwall although some believe the story to be only a localised rendition of a wider myth. Acrylic on canvas (16in x 20in).